In a paper recently published in Nature, Marshall Burke, Solomon Hsiang, and Edward Miguel, economists based at Stanford and the University of California Berkeley, presented a new analysis of the relationship between historic temperature fluctuations and macroeconomic growth. Their conclusion delivers two blockbusters. First, in contrast to past studies, they argue that 21st century warming could lead to huge global-scale macroeconomic impacts. The best estimate from Burke and colleagues is that business as usual emissions throughout the 21st century will decrease per capita GDP by 23% below what it would otherwise be, with the possibility of a much larger impact. Secondly, they conclude that both the size and the direction of the temperature effect depend on the starting temperature. Countries with an average yearly temperature greater than 13°C (55°F) will see decreased economic growth as temperatures rise. For cooler countries, warming will be an economic boon. This non-linear response creates a massive redistribution of future growth, away from hot regions and toward cool regions. Based on the analysis, rich and poor countries respond similarly at any temperature, but the impact of warming is nonetheless much greater on poor countries, because they are mostly in regions that are already warm. Economists have been looking at the relationship between climate change and economic activity for more than 20 years. Why are the results in this new paper so different? And are they likely to be right? We explore both questions in some detail below. The short answer to the first is that almost everything about the new study is different, including its emphasis on observed relationships in countries through time, its focus at the macroeconomic level, and its consideration of non-linear responses. The short answer to the second is that the work of Burke and colleagues deserves a prominent place in future discussions. The new estimate is not definitive, but it effectively pulls the center of gravity toward higher and more unequal levels of damages. The challenges of estimating economic impacts of future warming are daunting. Leading economists, including Nicholas Stern at the London School of Economics and Political Science, Robert Pindyck at MIT, and Martin Weitzman at Harvard have argued that the architecture of the historic approaches is deeply flawed. Given this skepticism, it is not too surprising that estimates are diverse. Still, Burke and colleagues approach the topic in a powerful new way. The new research is purely observational. Burke and colleagues looked at the historical response of annual economic growth to annual temperature fluctuations in 166 countries, from 1960 to 2010. While this observational approach limits the ability of the researchers to say much about responses to warming outside the range of historical variation, its strength is in simply describing what happened. Fundamental tipping points like a major change in where agriculture is possible or the long-term commitment to several metres of sea-level rise from the collapse of a major ice sheet are not reflected in the new analysis. Actual damages may be even higher than those based on historical patterns. A second important difference between the new study and the historical approach is that Burke and colleagues estimate the impact of warming on economic growth rather than on current output. Conceptually, there are several reasons that the impacts might be mostly on current output, especially when infrastructure and productive capacity are not damaged, but there are also reasons that growth might be impacted. Empirical studies are mixed, with several recent studies identifying impacts on growth. The distinction is important, because effects on growth are much more persistent than impacts on current output. A 2015 study by Frances Moore and Delavane Turner at Stanford demonstrated that, with the most widely used of the historical models, simply swapping a growth impact for the current output impact leads to a several-fold increase in the social cost of carbon or the economic damages per additional ton of CO2 released to the atmosphere. Burke, Hsiang, and Miguel are not the first to observe correlations between macroeconomic trends and temperature. Among others, William Nordhaus at Yale and the team of Melissa Dell, Benjamin Jones, and Benjamin Olken (now at Harvard, Northwestern, and MIT) have documented large effects of temperature on growth rates, particularly in poorer countries that also tend to be hot. But when Burke and colleagues looked at the data, they tried a different approach. Building from a large body of empirical data identifying threshold effects, where temperature has little or no effect until a point of rapid collapse, they asked if the basic relationship between temperature and growth is non-linear. Indeed it was, with positive effects at low temperature and negative effects at high temperatures. This hump-shaped relationship points to the possibility of strong temperature sensitivity across a wide range of temperatures, even if the average response across all temperatures is very small. Of course, it also underscores the unfairness of the economic impacts of warming, with cool countries like those in Scandinavia likely experiencing substantial benefits, while those in hot regions through Asia, Africa, and the Americas, as well as island nations, face potentially huge losses. Does the high and highly unequal impact of warming observed by Burke and colleagues mean that we have been underestimating the economic impacts of climate change? It might. The new analysis is strongly rooted in evidence, and it builds on a robust and growing body of observations concerning the prevalence of threshold responses to warming. The evidence that at least some of the warming-related impacts affect economic growth and not just current output is also growing. On the other hand, the study by Burke and colleagues looked only at data from 1960 to 2010, and they made no effort to predict how temperature sensitivity might change in the future. One can imagine a future where increasing risk of catastrophes amplifies costs, as Weitzman argues, or where learning and adaptation keep them under control. The bottom line is that it is too early to know. Burke, Hsiang, and Miguel have brought a breath of fresh air and deep insight to a critically important topic that has been addressed with a too-narrow set of techniques and concepts. Their boldness in looking at other approaches will, as a minimum, inject new life and creativity into future work in the area. It should also increase the emphasis on evaluating a wide range of possibilities, especially prospects of high and disproportionate damages, in estimating the economic costs of climate change. The new estimates warrant serious consideration and substantial weight in future calculations. Authors: Chris Field is the founding director of the Carnegie Institution’s Department of Global Ecology and Melvin and Joan Lane Professor for Interdisciplinary Environmental Studies at Stanford University. Katharine J. Mach is a Senior Research Associate at Carnegie Science’s Department of Global Ecology. Global warming will cost the world economy more than £1.5 trillion a year in lost productivity by 2030 as it becomes too hot to work in many jobs, according to a major new report. In just 14 years' time in India, where some jobs are already shared by two people to allow regular breaks from the heat, the bill will be £340bn a year. China is predicted to experience similar losses, while other countries among the worst affected include Indonesia (£188bn), Malaysia (£188bn) and Thailand (£113bn). The figures were published in a research paper launched at a forum on how to reduce the risks of severe weather events held in Kuala Lumpur by the United Nations University and UN Development Programme. Other papers highlighted the risk of increasingly heavy rain helping to spread diseases by expanding insect-breeding sites, driving rodents from their burrows and contaminating freshwater supplies; a decline in air quality caused by fires and dust storms; and more floods, mudslides, drought and high winds. Dr Tord Kjellstrom, author of the paper on the effect of ‘heat stress’ on the economy, told The Independent: “The effect of heat on people’s daily lives and particular on their work has not been given enough attention. “If you are physically active in work, the hotter it is, the slower you work. Your body adapts to the heat and in doing that it protects you from the heat. Dr Kjellstrom, of the Health and Environment International Trust in New Zealand, said the increases in temperature until about 2050 were already inevitable. However he said reducing emissions now could still have a significant impact after that date. “Beyond 2050, it will make a big difference if we take action now to reduce greenhouse gas emissions globally,” Dr Kjellstrom said. However he said some countries appeared to be planning simply to cope with the coming changes, rather than try to prevent them. “A lot of countries have focussed in the last few years on adaptation with the impression that we can find methods to adjust to the future changes in climate … and protect people and protect our societies,” he said. “I think personally that the need for mitigation, which means to reduce climate change, has not been given enough focus. The Paris climate summit last year was hailed as a success with countries committing to keep the amount of warming as close to 1.5 degrees Celsius above pre-industrial levels as possible. 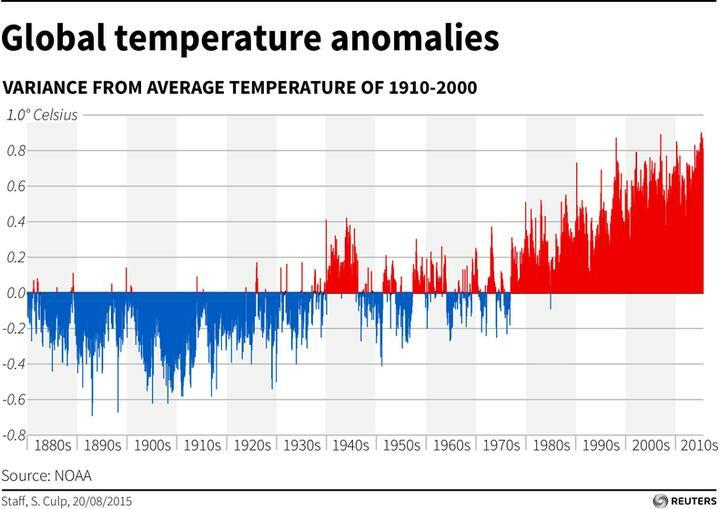 The world has already seen nearly 1C of warming. However the effect of the actions promised by individual states could allow a rise of 3.1C by 2100. Anthony Capon, director of the UN University’s International Institute for Global Health, said he hoped the research presented at the forum would “help improve understanding … of the threat climate change poses to hard-won advances in human health worldwide”. "It is not clear yet whether considerations of health and sustainability will overrule the press of economic progress in coming decades, and ethical considerations surrounding the right to development are thorny indeed,” he said. In an introduction to the papers, published in a special edition of the Asia Pacific Journal of Public Health, Professor Jamal Hashim and Dr José Siri, both of the UN University, wrote that humanity was facing “substantial health risks from the degradation of the natural life support systems which are critical for human survival”. But they added: “It has become increasingly apparent that actions to mitigate environmental change have powerful co-benefits for health." Professor Jamal said the Asia-Pacific region was already seeing more extreme weather events, as predicted by models of climate change. “It doesn’t look like carbon emissions will reduce significantly in the near future too we may be talking about a further increase in global temperature,” he said. However Professor Jamal added that there were some reasons for optimism. “I think there’s less argument now about whether there actually is climate change,” he said. “At last we are over the stage of quarrelling about whether there actually is climate change."